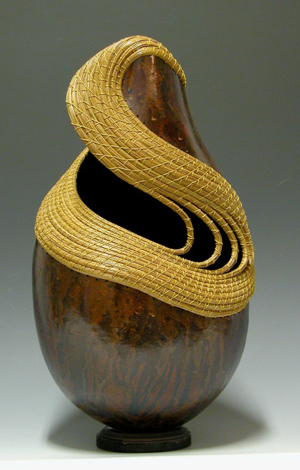 On May 4-5, 2013, I will be teaching two classes in Encinitas for the Misti Washington Gourd and Basket Guild. This the gourd that was chosen as the cover image for their class brochure. This entry was posted in Teaching and tagged Misti Washington, Toni Best. Bookmark the permalink.